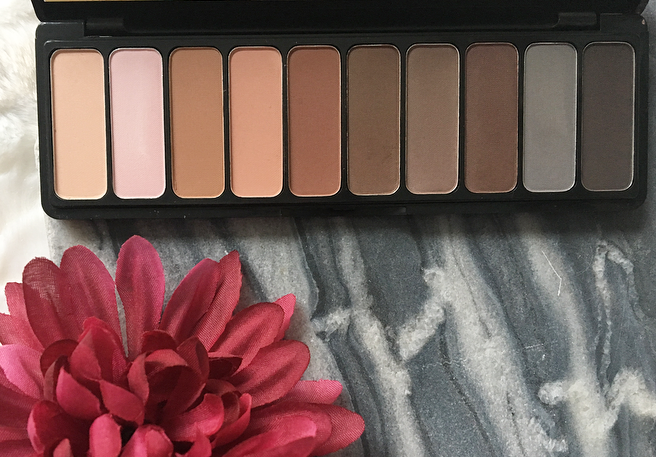 All-matte palettes were not something that I thought I would enjoy, but this palette has completely changed my mind. I bought the Morphe 35O Shimmer palette several months ago and always struggled to use it. The shadows were beautiful but there was nothing to blend with! This neutral, all-matte drugstore palette seemed like the perfect solution and I've been using the two together all month. 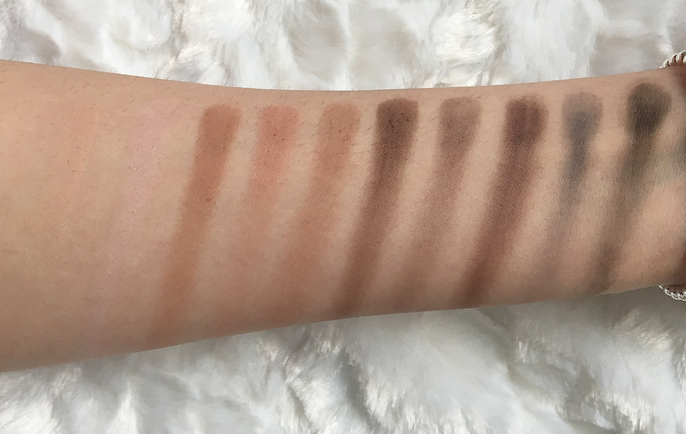 For an affordable palette, these shadows are a great quality. I like mattes that are pigmented but easy to blend, and these definitely fit the bill. They don't quite have the creaminess of the Tarte or Anastasia matte shadows, but they also aren't as powdery as the Lorac ones. They are soft to the touch and overall some of the best drugstore shadows I have tried. They aren't chalky at all. The color selection is a good mix of neutrals: some transition shades, light blending shades, and a lot of dark ones to choose from, both warm and cool. Personally I like to use this palette for crease work and then apply a shimmer shade all over the lid, but this palette is of course good for an all-matte look, too! The packaging is nothing special. It's sturdy black plastic and houses the ten shadows well, which is all you can ask from a drugstore palette. I feel like I could drop it and the damage would be minimal. I do wish the shadows had names, even if they were just on the back! It has a mirror and each shadow is a decent size and depth. I can see myself using this alongside my Urban Decay Naked palette and other palettes that are mostly shimmer. The colors go with just about everything, and if you want something warmer you can check out the new Mad for Matte 2 which is supposed to be even better quality! Unless you already have similar shades, I definitely recommend this and now I'm interested in trying more eye products from Elf. Also if you've noticed that I haven't been uploading very often, I got a new job that is taking up a lot of my free time and the rest is spent catching up on homework and occasionally going out. The semester is almost over so hopefully I'll be posting more in a couple of weeks. 12 comments on "Review: Elf Mad for Matte Palette"
Congrats on the new job! I don't think I would like this palette since I already have a lot of the same shades but I really want to try the Mad for Matte 2! This palette looks lovely, the pigment looks incredible! Congrats on the new job! I love this palette too. It is affordable and the shades are so easy to work with. It's been ages since I've tried Elf's eyeshadows. This palette looks lovely.